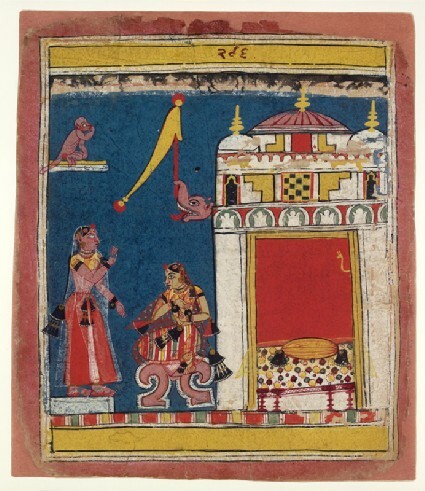 In this further page from the same Malwa Rasikapriya series [see EA2012.200, EA2012.201], the nayika sits alone on a raised seat outside her pavilion, following her lover’s departure. The usual makara (crocodile) finial flaunts its flag above. 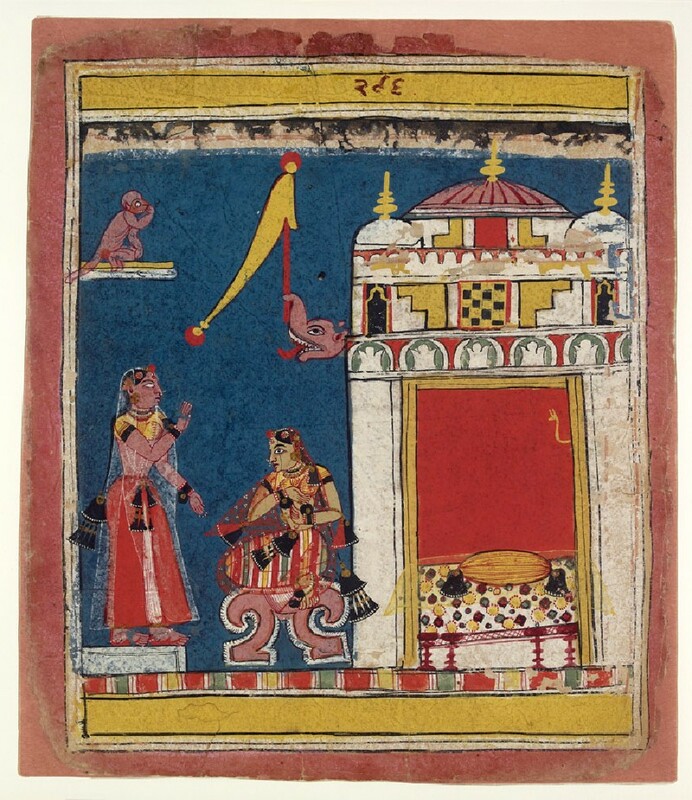 Her chamber with its red interior is now empty except for the vacated bed and an animal-headed wall-hook for hanging clothes (such as her lover’s turban). The wide-eyed nayika has a pensive or troubled air. The sakhi perhaps addresses her with a consoling speech.